Cornyn Loves Obamacare: Steve Stockman's single-minded effort to make the Tea Party look silly. 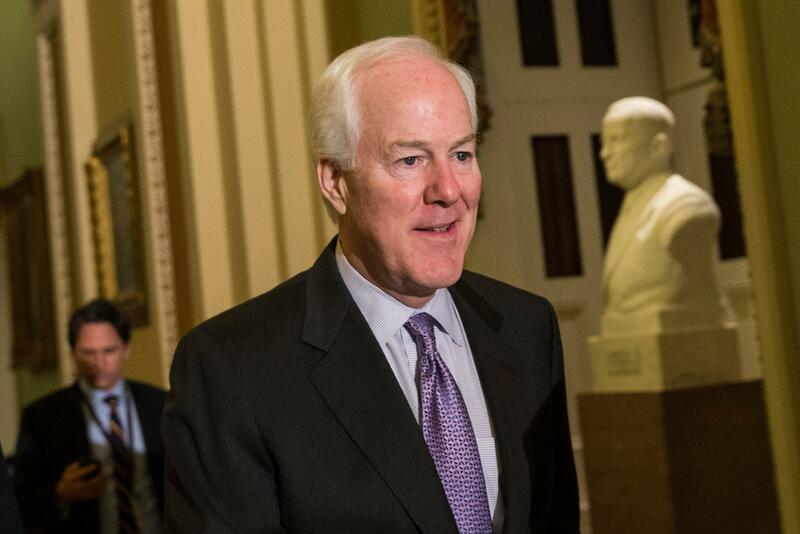 We promise you John Cornyn was not Photoshopped into this image. Not nearly enough people have “liked” this bit of sleuthing by Philip Bump, over at the Atlantic. Bump noticed that a micro-site created by Rep. Steve Stockman, Cornyn Loves Obamacare, included a seriously fake-looking image of Sen. John Cornyn gazing lovingly at President Obama. It looked fake because it was; Cornyn had been Quantum Leap’d (Scott Bakula’d?) into the famous photo of then-Florida Gov. Charlie Crist welcoming Obama to his state. No one thinks that! The rest of the diary items, attempting to build the case that Cornyn failed to stop Obamacare, blame him for not signing on to more procedural delays. It’s all quite strange and emphasizes, as Stockman’s whole campaign emphasizes, just how much harder it’s gotten to portray an incumbent Republican as a traitor to conservative values. In 2010 anyone who voted for TARP was vulnerable; in 2012, to go down, an incumbent like Richard Lugar had to have literally praised Obama and appeared in ads for him. In 2014, so far, it’s very hard to convince Republican voters that someone who’s conservative generally is going to enable liberalism. Dana Milbank gets into that in his piece about lobbyist David Jolly’s victory in the primary for Florida’s open House seat—a Tea Party candidate backed by Allen West got the sort of pathetic third-place vote that such candidates used to get, before 2010.